The paper lays bare the theoretical and methodological foundations of the formation and functioning of the adaptive architecture of the commercial enterprise accounting and analytical system based on the engineering methodology of adaptive accounting, the provisions of the evolutionary adaptive balance theory and the theory of architectonically structured support and aggregated modeling in the adaptive accounting and analysis system. Besides, the paper pays special attention to substantiate the possibilities of using the adaptive evolution of structured set of accounts and adaptive engineering tools in the adaptive processes management. The author propounds the formation and usage of the model of architectural systems of structured and integrated sets of accounts and adaptive engineering tools under the conditions of multivariate solution and alternative choice of adaptive change management, revealing its structure and essential elements. 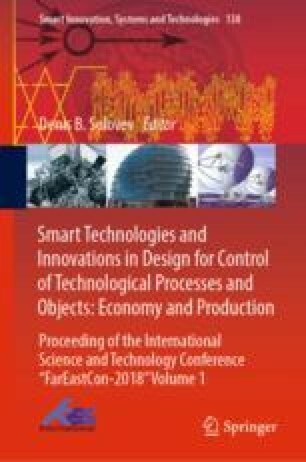 The conducted research allowed developing computer software «Implementing Adaptive Models of Commercial Enterprise Integrated Information Architecture» and «Set of Accounts Structural Architecture and Information Infrastructure» . The first program is recommended to exploit to diagnose the level of enterprise adaptability, while the second one contributes to the expansion of monitoring and analysis capabilities of the information system in the context of multivariate solutions, alternative situations, assessing adaptation effectiveness, taking into account users’ multivariate requests and tasks to be solved.